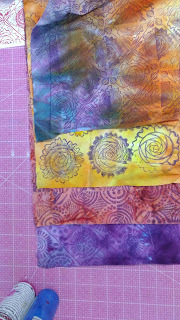 After stamping hand dyed fabrics with a few of my hand carved stamps, I felt the need to create something with them. I knew that was the right answer. 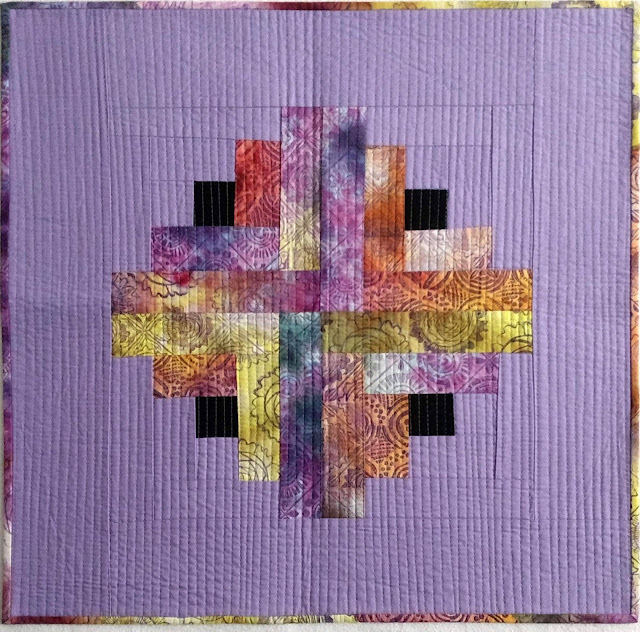 I love log cabin blocks. 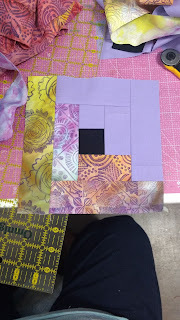 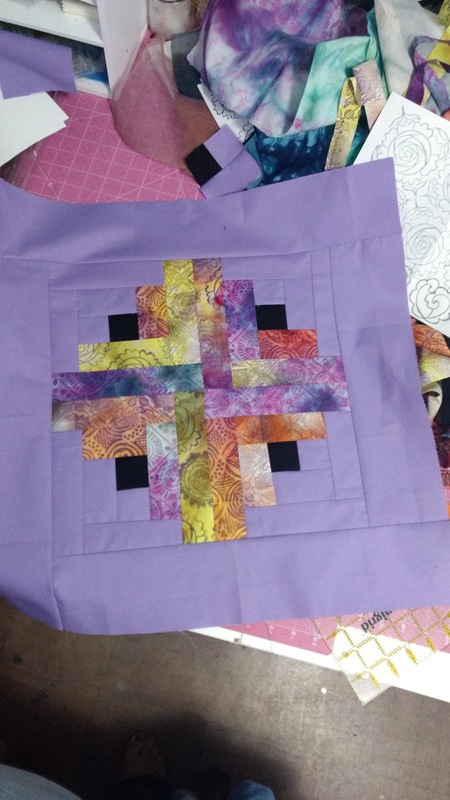 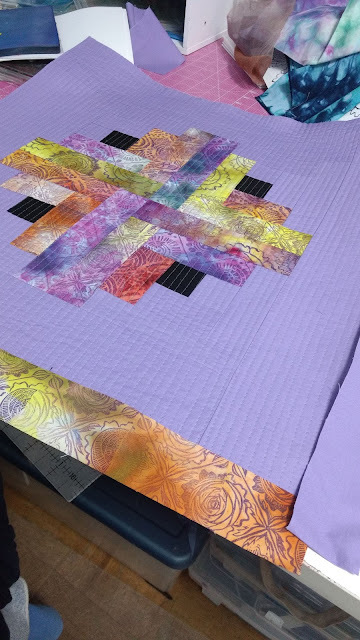 After some quick matchstick quilting. . . 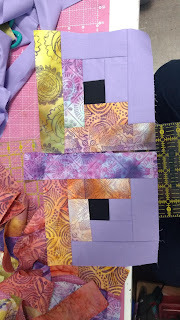 I had a piece that I really like. And of course the binding had to be more hand stamped fabric! 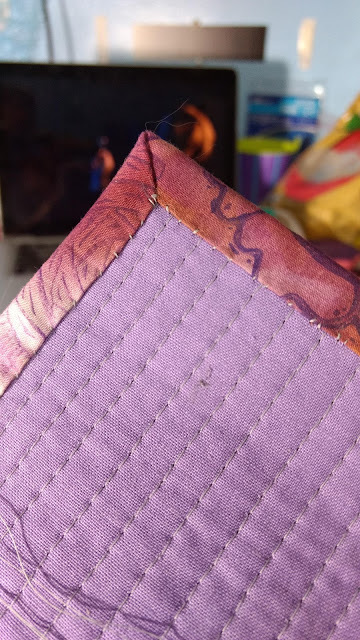 This is probably the best binding I have ever made. 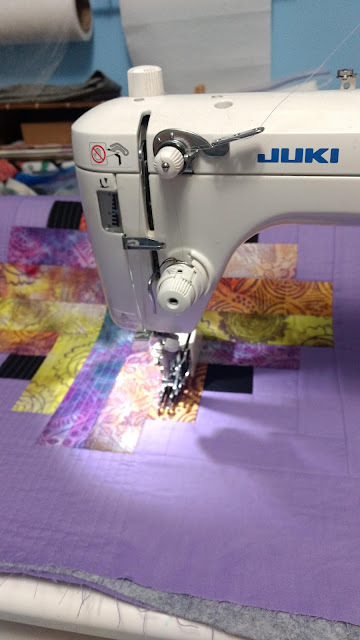 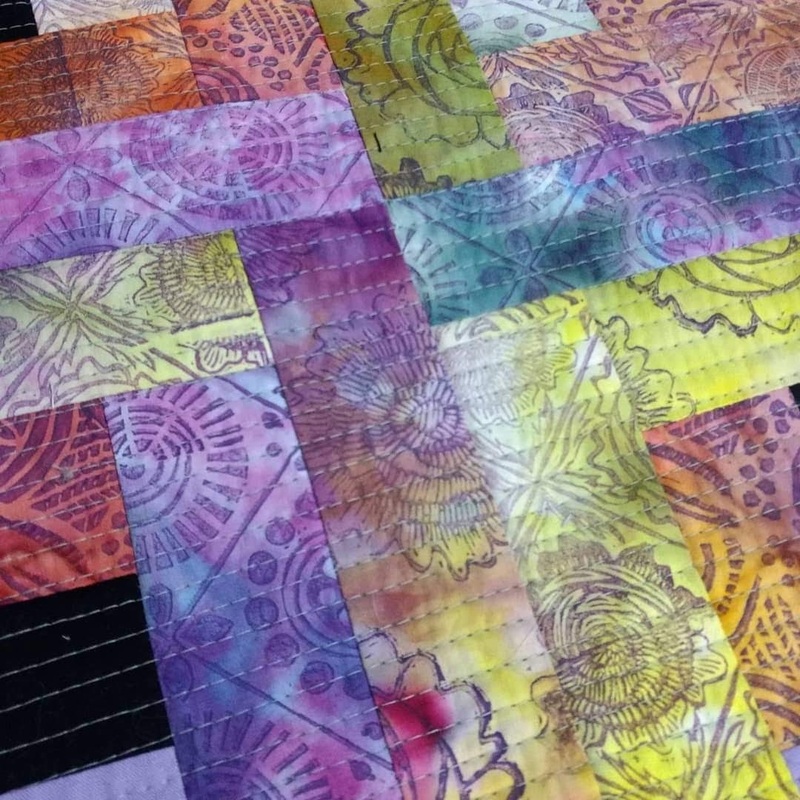 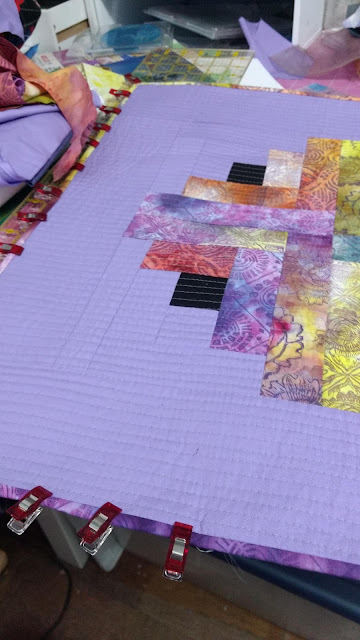 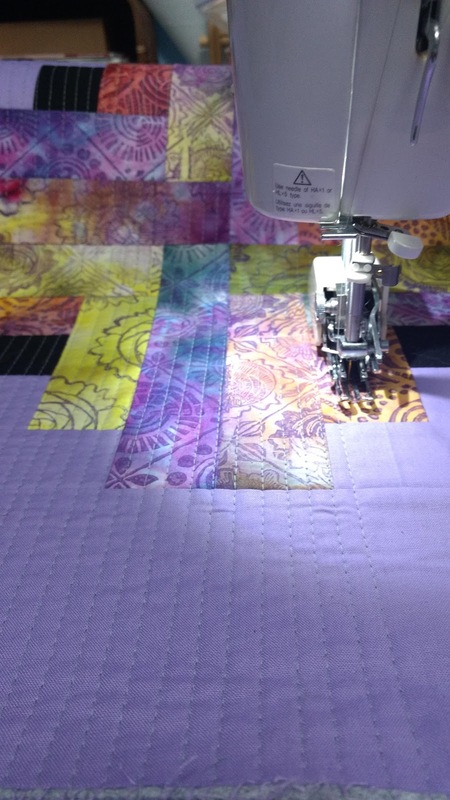 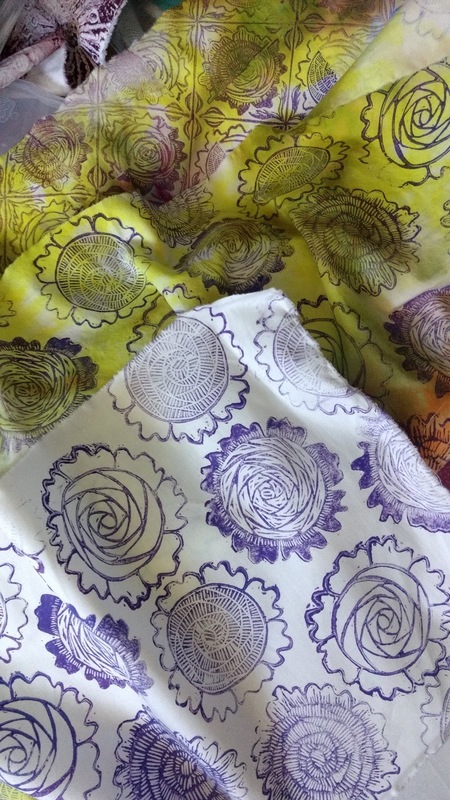 The best part about creating a quilt from hand dyed and printed fabrics is that it cannot be duplicated!